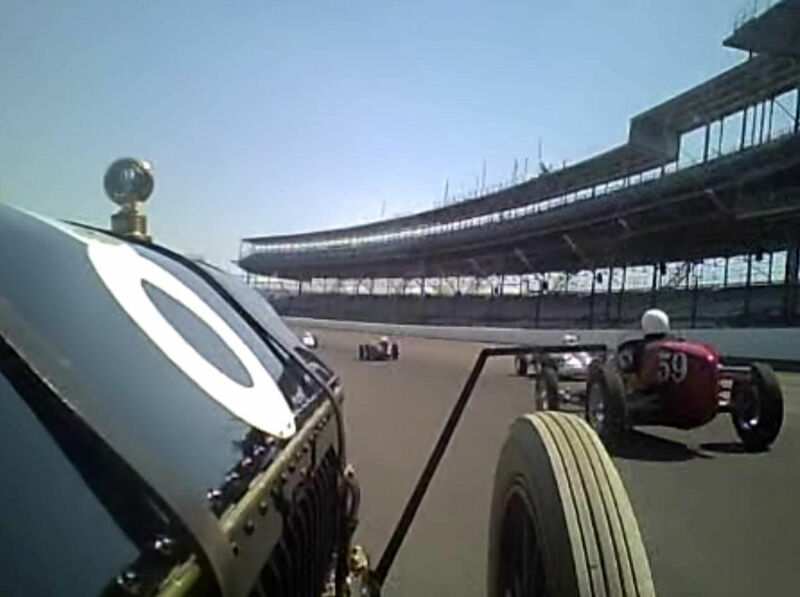 This 8-minute video documents the four laps of the 1909 Alco Black Beast and 25 other vintage racers on Legends Day at the 2012 Indy 500 weekend. Driving by Howard Kroplick with mechanician Sam Greco, the Black Beast reached a top speed of 70 mph. 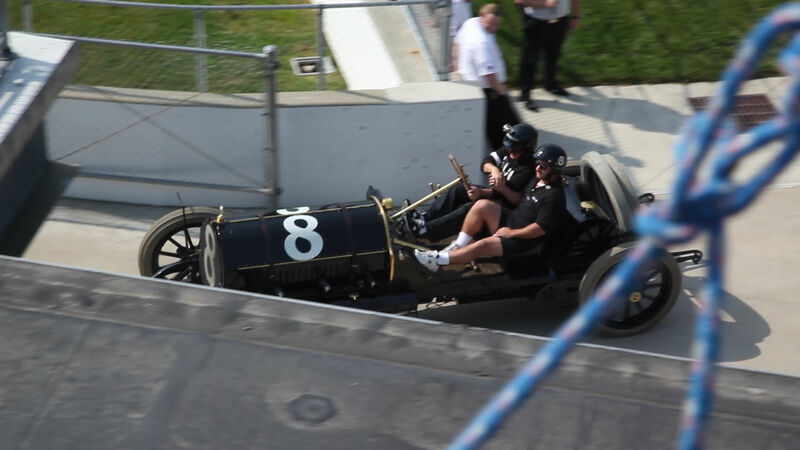 Several of the racers can be seen passing the Black Beast at speeds of over 150 mph. Mario Andretti congratulated Howard Kroplick at the conclusion of a lap. 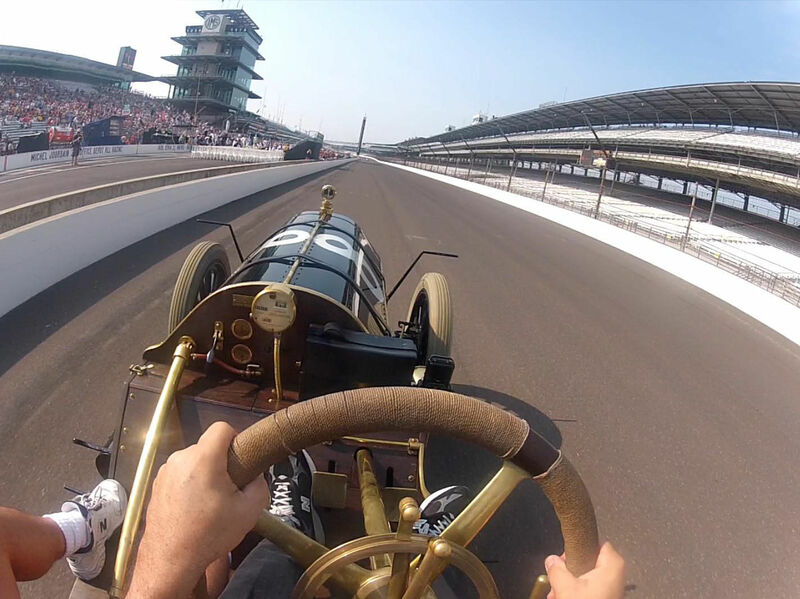 The video was shot primarily using a helmet Go-Pro camera and a lap camera mounted above the right front tire. The videographers were John Cuocco, Roz Kroplick and Howard Kroplick. 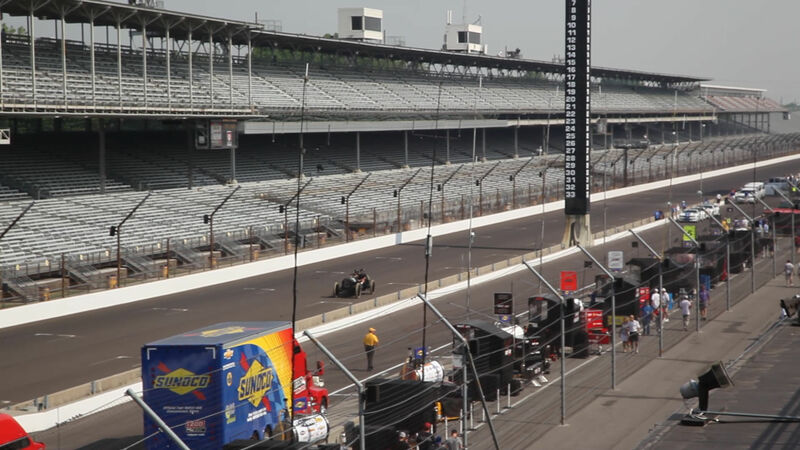 For a full-screen version, follow this link to YouTube. Wow. Thanks for sharing. I’m sure you had a blast!! Nothing like DRIVING and old car! Static display at car meets etc. is wonderful, but cars were made to be driven, day and night. If you own an old car and don’t use it , except to go to and come from a show , then you are missing 90% of the fun. 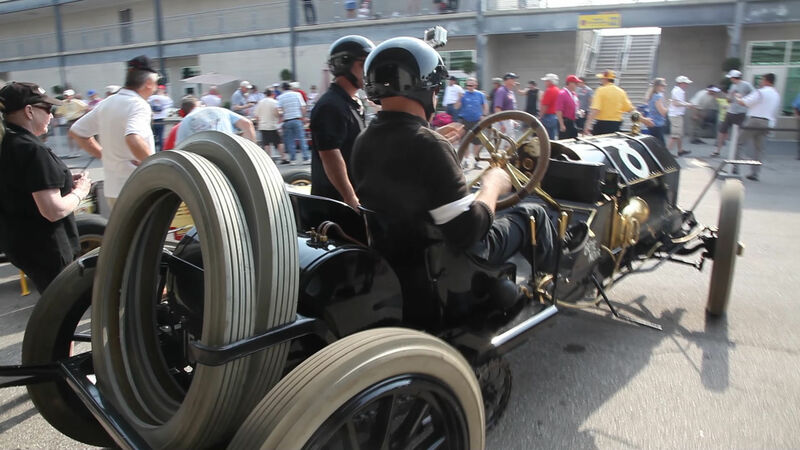 Going that speed in a pre WWI motor car is an experience few have had the pleasure of doing. Austin Clark took me for a 80+ mph down North Sea Road in Southampton heading south towards his museum 40 years ago in his type 35 Mercer raceabout. 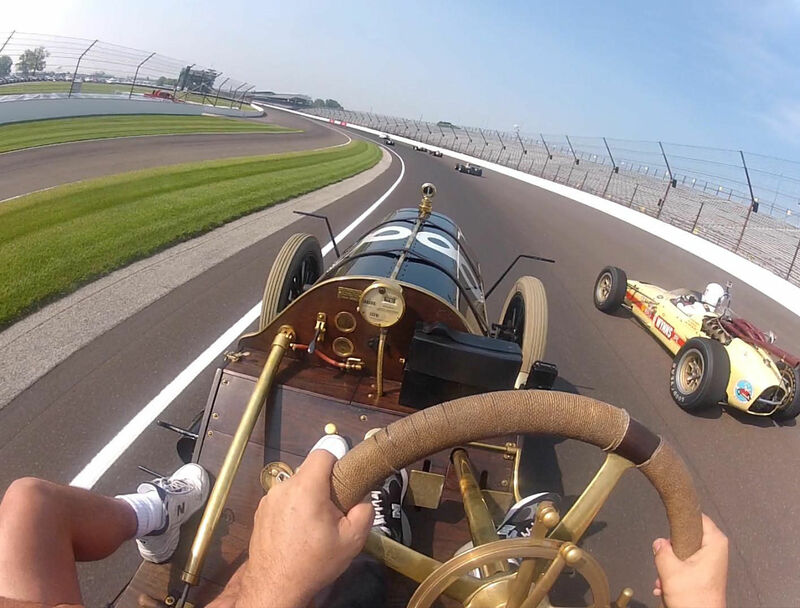 You are sitting on a bucket seat on a frame , no doors or windshield, only about 15 inches off the ground in a car with 4 inch wide tires and two wheel brakes - PRICELESS! Wow, very cool! 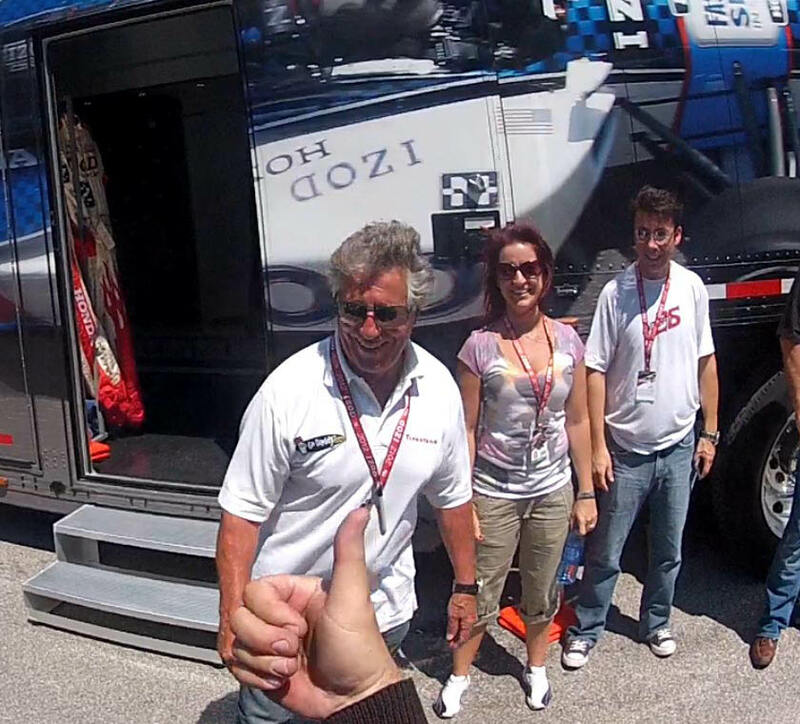 That must’ve been a ton of fun, plus on top of all of it meeting Mario Andretti! We’ve now watched this numerous time…another hundred or so and we’ll have you down on record as having driven a full 500! The Beast is amazing here but it must be said too that YOU did a great stint Howard. 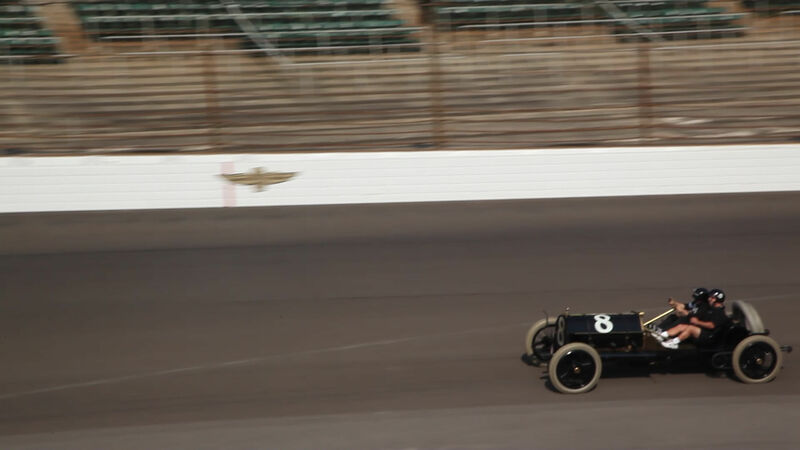 It is no mean feat to run this legend in the ranks of other Indy legends with all of them reverently striding off the race line to honor your feat. BRAVO! Thanks for sharing, nice job. 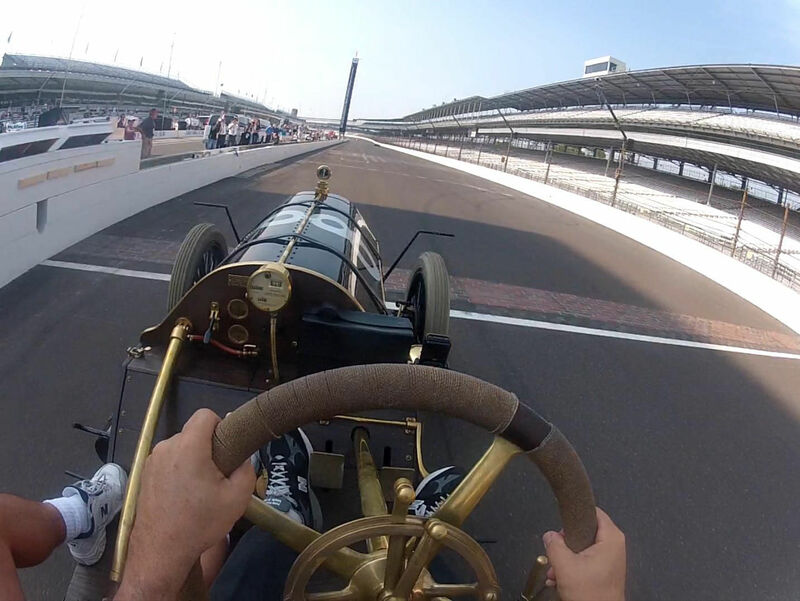 if I recall correctly you’ve exceeded the speed that Emerson Fitapaldi acheived with the Black Beast at Indy last year-Congratulations! Looks like the she had quite a bit more in her. Howard, What a thrill that must have been. Having my brief ride last month and knowing the sensations at “low speeds” I can’t imagine what it must have been like at 70 mph, the steering wheel appeared to have a great deal of vibration. Many thanks for sharing this. Howard - This was absolutely thrilling to watch. I can’t imagine how exciting it must have been to actually do it. Thanks for giving us all a chance to sample the experience.